Weld Mount's unique line of fasteners are designed to be adhesively bonded to almost any substrate. 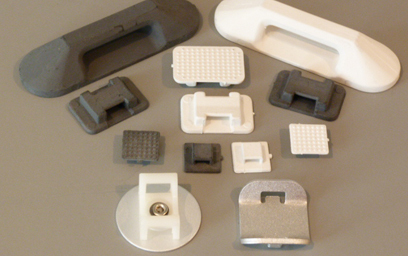 We offer wire tie mounts, hose and cable clamps, studs, standoffs, and floating nutplates. All of our fasteners are mounted with our unique non-sag acrylic adhesives which hold the parts in place on a vertical or overhead surface providing a permanent high strength bond. Explore our various products by choosing one of the categories below. 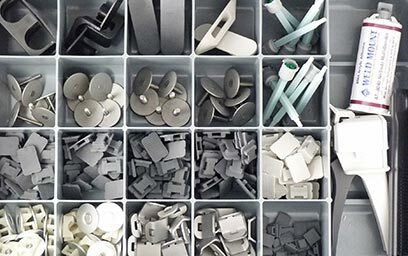 Explore our large array of fasteners for applications such as wire runs, firewall wiring, mounting electronics and more. See the high strength acrylic adhesives we offer which have been specifically formulated for use with our parts. 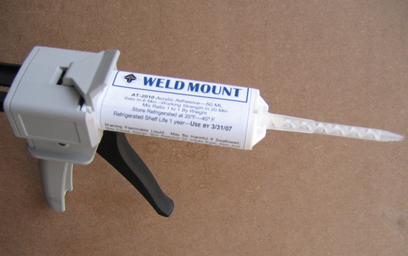 Our kits contain the most commonly used parts and adhesive for you try the Weld Mount system first hand.